Hey everyone! 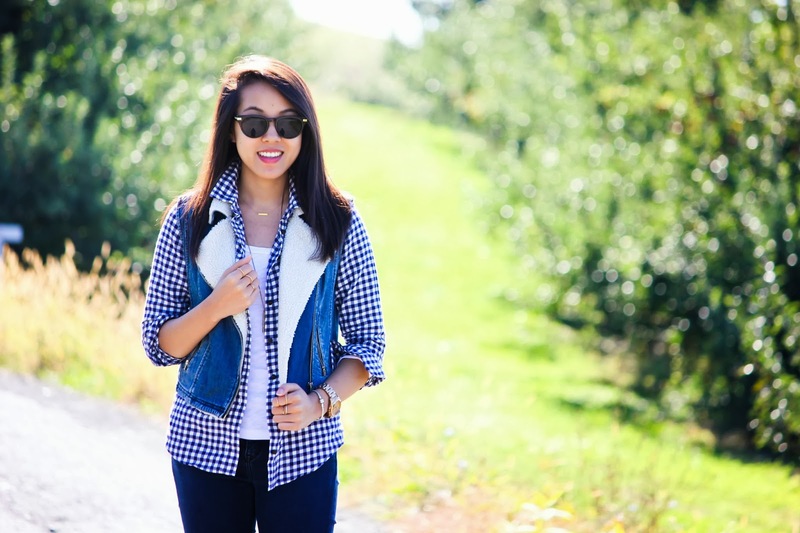 This weekend I spent some time with my family and we traveled to the orchards for some apple picking. It's been a family tradition of ours to go every year around this time, so this year I decided to take you guys along with me! The view from this farm is absolutely breathtaking - rolling green mountains in the distance behind a sea of changing leaves. 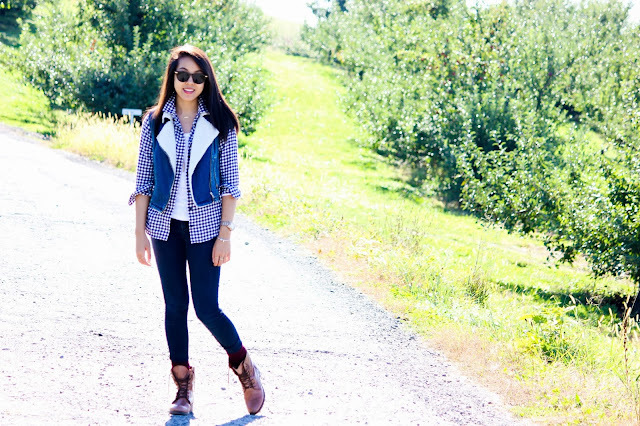 When I think of apple-picking and fall I automatically reach for some kind of flannel/plaid and my Sam Edelman boots, which are a fall and winter favorite of mine. I also love to layer for a cozier feels and to make deconstructing an outfit easier if it gets too warm during the day. I was hoping to share a few more photos of the view with you all, but the lighting was simply not coordinating, so I took you with me to frolic between the rows of apple trees instead :) Hope you all enjoyed your weekend and have a fantastic Monday! Thanks for reading! Great pictures and the outfit is so cute! hey, Erica. I just love that vest! I think it totally brights up your whole outfit and adds this really cool vibe to it! oh and those booties are cool too. by the way, I'm glad you would love to follow each other and keep in touch. I followed your blog via Bloglovin' (Maiken M) and of course here too (Maiken) and you can find my links from my blog :) see you! 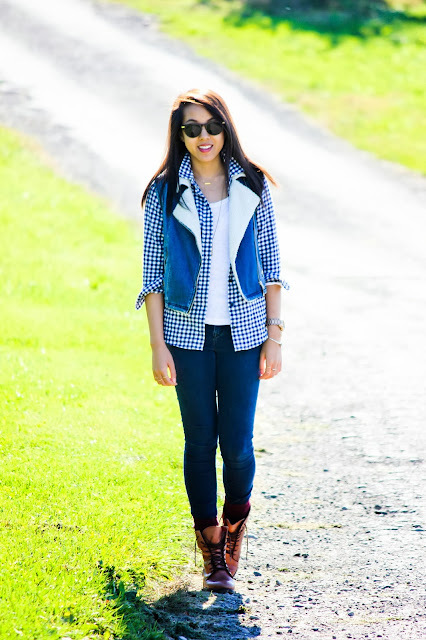 This is the epitome of a fall outfit spend outdoors!! 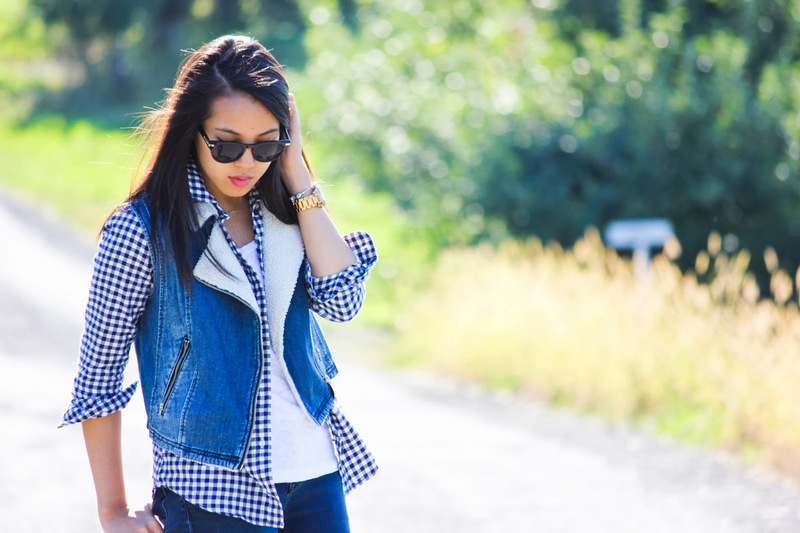 Love the gingham paired with the combat boots! Thanks Christine!! 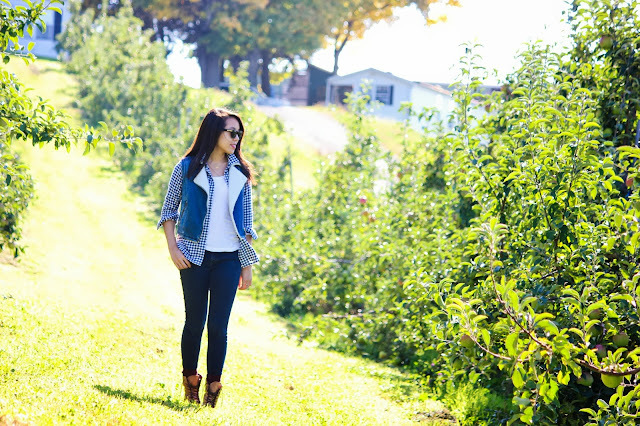 I am too...forever my favorite season <3 I've never been korean pear picking! Where do they even have that?? Hope you had a fantastic weekend too!! Check it on my blog. Beautiful look, love the way the vest complements the outfit!! Beautiful outfit! 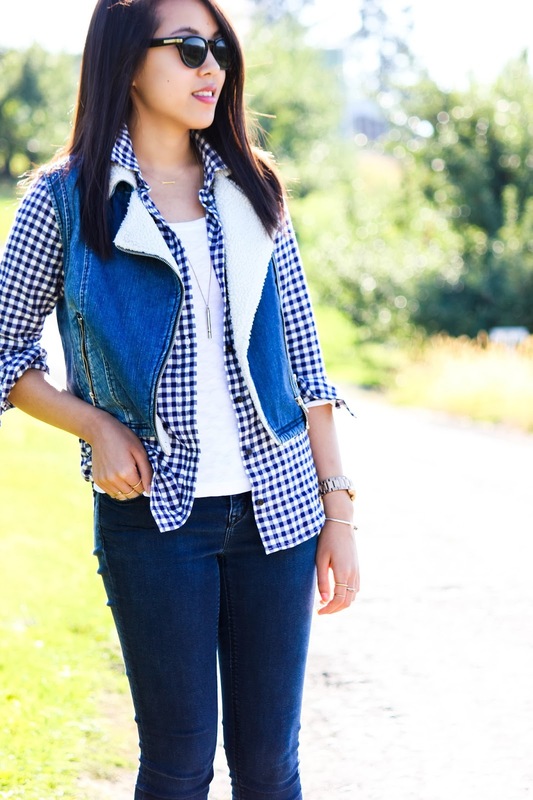 Love the hint of gingham, really adds a great element to your look! Wow, love these scenic pictures and the gorgeous, stylish girl in them ;) I adore that vest and gingham shirt combo, so rustic yet chic! 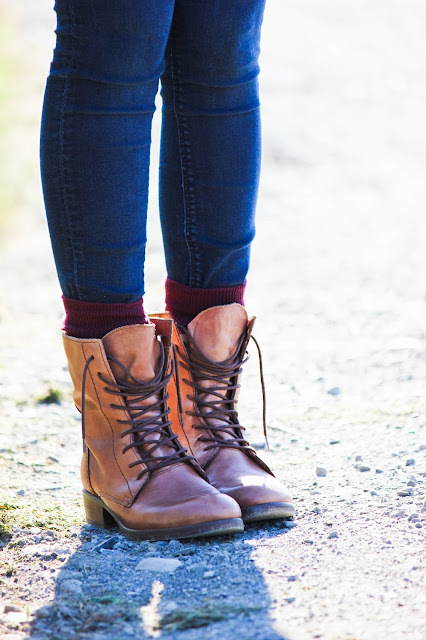 Also those boots are amazing, you can tramp through the countryside and still look very fashionable! That's such a cute family tradition, mine used to go to the Okanagan (it's an area in British Columbia with a lot of hills, lakes, and fruit orchards well known for wine, etc.) and we would pick peaches, cherries, and all kinds of fruits. Also, we ALWAYS had the best ice cream and went camping there every summer! I only wish we weren't all so busy lately with our own lives, I hope I can join my famjam on their next trip! I love your photos!! The photography is so great and your outfit rocks. That's such a cool vest and I love the way you paired it with the gingham. That sounds like so much fun!! I've only ever gone apple picking and strawberry picking! This place we went also has the BEST ice cream too! They have homemade apple crisp with ice cream and whipped cream on top....highlight of my day lol. If you guys ever go again, I'd love to see pics!! LOVE the layering going on here! you will authorize me i'll add them to my own page of FLICKR.